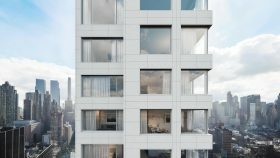 New renderings of Pritzker Prize-winning architect Álvaro Siza’s first United States building was revealed this week, stirring up interest before the Hell’s Kitchen tower launches sales this fall. 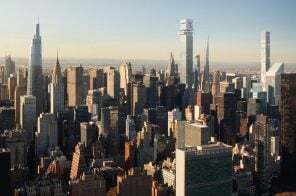 Currently under construction just off 11th Avenue, 611 West 56th Street will reach 37 stories and contain 80 condo units, ranging from one- to three-bedrooms, and penthouses. In addition to the fresh images of the limestone tower, developers Sumaida + Khurana and LENY also released a teaser website for the project. The New York City Department of Housing Preservation and Development (HPD) announced Wednesday that it will build approximately 260 units of affordable housing on two vacant city-owned sites in the Clinton/Hell’s Kitchen section of Midtown Manhattan, one at 806 9th Avenue and another located at 705 10th Avenue. 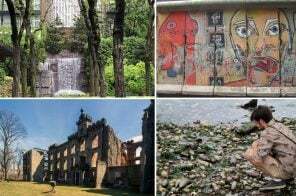 According to a press release, HPD has selected two development teams who will partner with nonprofits to bring an array of services to the surrounding community. 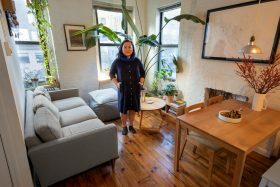 The listing describes this Hell’s Kitchen co-op as “a first time home buyers’ dream” and when you consider it’s chic, industrial-style interior and low $425,000 price tag, that sounds about right. 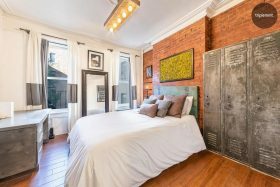 Not only is it a true one-bedroom, but the apartment at 715 9th Avenue was also recently renovated. 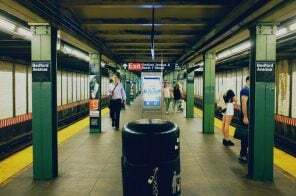 Being right on restaurant-lined 9th Avenue might sound like a lot, but you’re just one block away from the C and E trains at 50th Street. On a tree-lined block in Hell’s Kitchen, this two-bedroom co-op just hit the market for a cool $825,000. 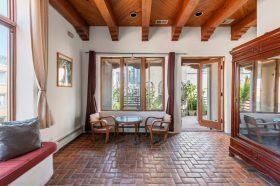 The cozy 800-square-foot duplex at 455 West 43rd Street offers a loft vibe filled with beautiful details—dramatic high ceilings, wood floors, exposed brick, a spiral staircase, and a fireplace—along with all the modern amenities you need to live in true comfort. 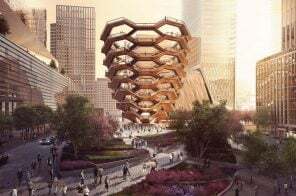 Nearly five years ago, the city rezoned a portion of Hell’s Kitchen to allow the Clinton Housing Development Corporation and developers Taconic Investment Partners and Ritterman Capital to undertake a two-building residential project between 10th and 11th Avenues. 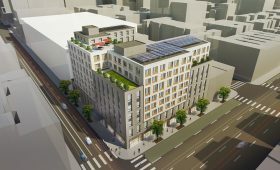 The larger of the two, a 22-story rental with 392 units at 525 West 52nd Street, launched an affordable housing lottery for 80 apartments two summer ago. 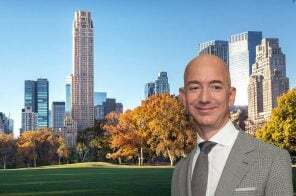 The shorter, 13-story component is located next door at 540 West 53rd Street, and as of today, New Yorkers earning 80, 100, 125, or 165 percent of the area median income can apply for all 102 of its residences. 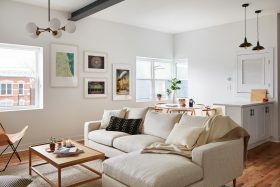 They range from $1,091/month studios to $3,270/month two-bedrooms and have access to amenities including two terraces, children’s “splash pad,” a fitness center, laundry room, and the adjacent public community garden. 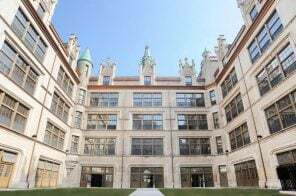 If a massive, multi-storied townhouse is what you’re looking for, you don’t have to worry about penthouse FOMO with this listing. Spanning 7,000 square feet, with a two-story master bedroom that cantilevers out eight feet over the back garden, a back wall of glass and smart-everything, this single-family modern masterpiece at 416 West 51st Street, now asking just under $11 million, lets you keep your Billionaires’ Row penthouse dreams–with the rest of the 25-foot-wide mansion just a quick elevator ride away. 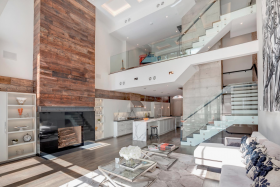 6sqft featured the modern manse in 2016, when it was listed at $15 million. Built in 1910, this six-story building was the headquarters of the Christian Brothers, whose main role was to keep neighborhood youth out of trouble, from 1953 until 2011. 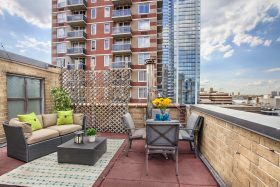 This two-bedroom condominium at The Armory at 520 West 42nd Street may not have its own rooftop bocce court, but it has spring and summer sussed with a large private rooftop terrace for gardening, barbecuing, and entertaining. In colder months, head indoors where a working fireplace awaits, and watch the snow fall through big greenhouse windows. 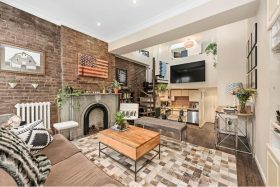 The Hell’s Kitchen home is asking $1.499 million.